THE INFORMATION AGE has brought a lot of great things, but despite what appears to be an almost endless stream of data, people are more confused then ever. A recent study suggested that modern humans may actually be declining in intelligence, becoming ever more reliant on technology and statistical analyses to think and make decisions. Nowhere is this a more pressing issue than in medicine, where in many cases research and technology has reduced clinical practice to nothing more than a numbers game, using drugs to manipulate the results of medical testing, while ignoring how the patient actually feels. In 2000 the Journal of the American Medical Association published a study demonstrating that the US medical system is, at the very least, the third leading cause of death. Imagine that: a medical system designed to help us actually kills us! There’s something wrong with this picture! It wasn’t always like this. There was a time when the practice of medicine looked at the patient as a whole person, when factors such as thoughts, feelings and quality of life were considered to be of paramount importance. Just because we look at the patient in a holistic way, however, doesn’t mean that we can’t develop and utilize sophisticated technologies. There is a way to merge the art and science of medicine. Several thousand years ago in ancient India, a system of medicine was developed called Āyurveda, which means the ‘science of life’. With millions of hours of empirical experience behind it, Āyurveda is the oldest continuously practiced system of medicine in the world. Based on the logical framework of the Vedas, humanity’s oldest system of living knowledge, Āyurveda sees the world in a very different way than Western Medicine, viewing each thing, each person, as fundamentally connected. This holistic perspective allows the practitioner to find connections where science draws only blanks, as well as develop sophisticated technologies that leverage the power of nature to align us with the natural rhythms of the earth. Ultimately, the goal of Āyurveda is to empower its practitioners with a heightened state of self awareness, allowing them to take full responsibility for their own health and well-being. Accessing this level of knowledge, however, especially in this information-age of confusion and faddism, isn’t very easy to find. And even once you find it, it’s very difficult to know if the information is authentic and true. I have spent my entire adult life and my career as a clinician and researcher passionately devoted to the study of Āyurveda. I have traveled across the world many times, to study with some of the finest Ayurvedic physicians in India and Nepal, investing thousands of dollars on books to complete my library of classical Ayurvedic texts. But beyond my passion for Āyurveda, I have an exceptionally inquisitive mind, compelled to get to the bottom of every matter that I have looked into, whether it’s food and diet, lifestyle and spiritual practices, or the practice of medicine. I have had lots of time and opportunity, working with patients, students, and industry, spending countless hours pouring through ancient texts and the latest medical journals, to develop a capacity to discern what is true, what is not, and that which we cannot understand through logic alone. If you have read my books or heard me speak, you know that I work hard to provide a clear, balanced, and detailed analysis of whatever subject I present. This passion for clarity and depth of knowledge when it comes to good health and healing has held me in good stead these 25 years, and it’s something that I want to share with you. It may come as some surprise to some, but I was a professional film and TV actor for a few years before I discovered Āyurveda. 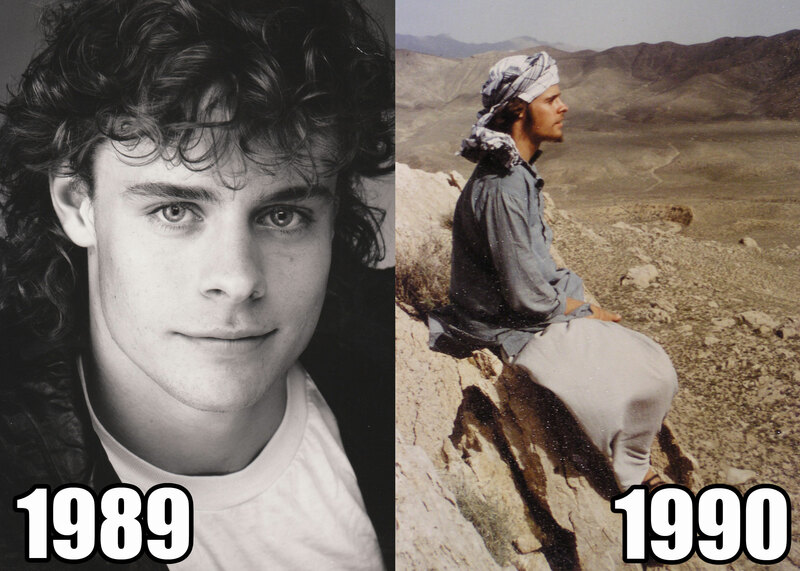 Although I was a successful actor with a lot of promise, I quickly grew bored with the film industry, and in 1989, with $2000 in my pocket, I headed off to India to explore the world. While I had many fabulous adventures, and brought back lots of stories, because I tried to live so cheaply, I came back with a bad case of amoebic and bacillary dysentery. After consulting with a variety of practitioners, including doctors, NDs and Chinese herbalists, I only found relief when I worked with an Ayurvedic physician named Dr. T. Sukumaran. I was so impressed with the result that I decided learn more about the science of Āyurveda. This was the catalyst for discovering my life’s work, that started with me completing a three-year, full-time degree program in herbal medicine. Upon completionof my studies, I traveled to South India in 1996 with my pregnant wife and 13 month old son in tow, to spend several months studying at an Ayurvedic hospital. When I returned to Canada in 1997, I began my practice in a small town in the interior of British Columbia, and haven’t looked back since. Over this last 20 years I have had the great fortune to practice and teach all over the world: in Canada, the United States, India and the Caribbean, spreading my love and passion for this Divine Science of Life called Āyurveda. Although Āyurveda is an ancient and venerable science, it can be extremely difficult to find reliable information that is easy to understand. This is especially the case if you don’t speak Hindi or Sanskrit, or are unfamiliar with the culture of India. Sometimes people spend years studying Āyurveda, but because the information was never presented with the proper depth and clarity, there remains big gaps in their knowledge. Seeing these gaps, limitations, and biases, I decided to create Inside Āyurveda, a comprehensive home-study program that is orientated to the Western student. You will receive the 612 page Course Notes shipped to your door, providing all of the course contents and assessment materials you need. Significantly expanded and revised from the acclaimed textbook ‘Āyurveda: The Divine Science of Life’, the Course Notes for Inside Āyurveda are so detailed that it will serve as a powerful reference text for years to come! On-demand access to all 20 of our recorded classes, both in video and audio. Participate in LIVE Q&A webinars every week while the semester is running. Can’t make the Q&A? No problem! Each session is recorded and then posted to our website so registered students can stream and download the audio whenever they want! You’ll have access to a great online community of fellow students, moderated by me, to ask questions, gather opinions, and refine your thinking. No matter what’s got you stuck, the community and I are here to get you rolling again. To make assessment as painless as possible, all of the assessment materials can be completed and submitted online, meaning you have almost no paper work to deal with! In addition to all this, you will have access to all other educational materials posted to the site, and while you are a registered student, free access to all webinars and interviews! Students that successfully complete the Inside Āyurveda program are eligible to continue their studies with me in Nepal and India, as well as participate in Group Intensives that will be offered several times a year. Surveying other programs that offer training in Āyurveda, there is none that comes close to matching the quality, depth, and value of Inside Āyurveda. I have always been greatly impressed with his breadth of knowledge. Todd has helped me both personally and in professional consultation with my patients. Over the almost 20 years I have been practicing and teaching, I have had many occasions to work with medical doctors, both professionally and personally, introducing them to the wisdom of Āyurveda and natural health, helping them find effective alternatives to drugs and surgery. Inside Āyurveda contains valuable information and practical tools that can be incorporated into a number of different contexts, supporting health professionals, lay practitioners, and patients alike. 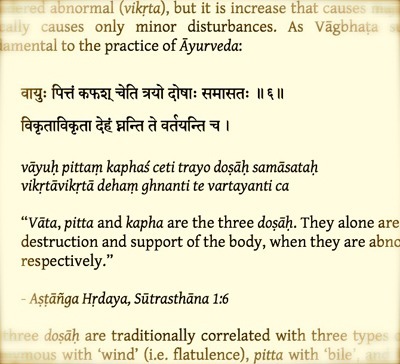 Āyurveda is for everybody! Dr. Todd is a genuine Ayurvedic teacher and experienced practitioner, and I personally appreciate his dedication and interest in the field of Āyurveda. There are many people that teach Āyurveda, but there aren’t many that can illuminate the Western mind with this ancient wisdom in quite the same way, and draw together seemingly disparate threads of knowledge to provide a richly layered tapestry of knowledge. With Inside Āyurveda you get access to an authentic, living tradition of Āyurveda, and the very best information to help you along on your path to healing and wellness. Todd’s practical advice on food – what, when and how to eat – has inspired many of our students to make simple changes to their diet and lifestyle, with immediate and profound effects on energy level, concentration, and relief from confusion. Put simply, Todd is the best Ayurvedic teacher I’ve ever met. 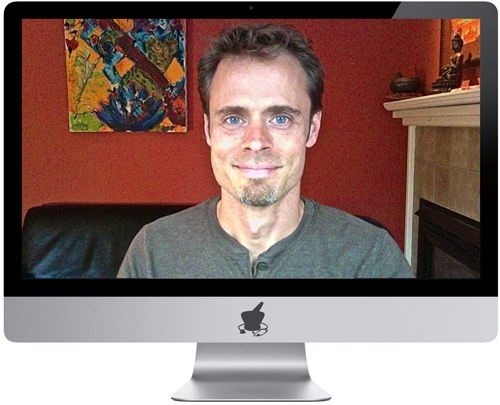 – Daniel Clement, Director, Open Source Yoga. As one of the leading experts of Āyurveda in the Western world, you get ACCESS to me, and my passion for uncovering the truth. As someone who straddles cultures, between East and West, I know how to bridge the gap to raise the level of your understanding. Countless times I have had students come to me after class and say that I finally made sense of things they had been struggling with for years. Todd is an inspiring teacher, educator and writer and a kind, engaging human being. I highly recommend his courses and books, having enjoyed both! I know that personally, this course had a profound influence on my life. And I witnessed a lot of dietary and health changes in the other students in the following weeks. I even ran in to some people that had attended the course that were not part of the 500-hour group, and they said it was one of the most amazing workshops they had been to. Food and nutrition has become a complicated subject only because of the kind of culture we live in and the modern food practices. Todd was a voice of reason in an otherwise confusing world of misinformation. You get detail, detail, detail! The Course Notes for Inside Āyurveda is the most comprehensive and intelligible text on Āyurveda you can find in the Western World, written not just by an academic, but an actual clinician with real-world experience! Not only are the most important concepts and practices described with great clarity, all of the information is cross-referenced, enhancing the proper understanding of context and application. The text also contains an extensive bibliography, hundreds of scientific references, as well as several detailed appendices and glossaries. The companion PowerPoint slides add even further detail, making for an exceptionally thorough and well-rounded educational experience. Download a sample of the educational materials, including the syllabus. Students that graduate from this program are eligible to continue their studies with me in a variety of ways, including adventure learning and group intensives. Up for some adventure? Graduates of the Inside Ayurveda program are eligible to join our Ayurveda Overseas Study Program in Nepal and Kerala! Imagine spending five weeks studying in the foothills of the Himalayas with a hereditary physician, at an 800 year old Ayurvedic clinic in Kathmandu. And yes, we’ll take a little time to explore the culture and sites as well! Following this, we’ll head down to the tropics of Kerala, where just outside of Thrissur we’ll spend five weeks learning an array of traditional massage and pancha karma techniques. At the end, you will have been immersed in two different authentic traditions of Āyurveda, with two practical skills you can use in the future. Don’t want to travel too far, have limited time, or want to upgrade specific skills? My Group Intensive program will be made available to graduates of this program, as an annual series of week-long workshops to further professional development and clinical skills. These limited participant intensives will be planned several times a year, located in different parts of North America. This course was extraordinary. Everyone was on the edge of their seats the whole time, questionswere flying, old perceptions were shattered, and almost everyone decided to buy Todd’s book by the end of the course. One thing for sure is that we did not have enough time — another day would have been perfect. There were so many questions and discussions that we didn’t come close to finishing. I am not sure I can do this by myself! Some of you might feel overwhelmed with the idea of working alone on a distance learning program, especially if you are a kinesthetic learner. That’s why I created the Inside Āyurveda webinar series and the Webinar Wednesdays discussion group, as well as moderate an active online forum for students. And there will be further opportunities for graduates to pursue their practical skills in our Group Intensive programs. No problem! 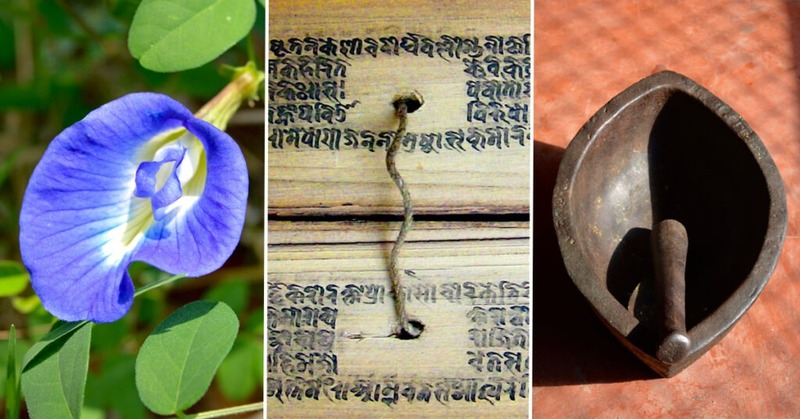 Similar to how Latin is used in science, Sanskrit is the technical language of Āyurveda, and it’s important to gain some fluency in these terms. But there is no need for you to actually learn the language itself. While Inside Āyurveda does make copious use of Sanskrit terms, ALL these terms are defined MULTIPLE times in the text, and are accompanied by a translation guide for pronunciation, and an extensive glossary that defines all the terms used in the book. Given the nature of our hectic lives it seems that everybody is pressed for time these days, and some of you might feel that you just don’t have the time. Remember, however, that this is a self-paced program that allows you to go at your own speed. We give students at least one year to complete the program, but this can be easily extended for an additional year upon request. And if you ever get stuck, know that I am here to help you get through it! Here one finds a combination of traditional use, along with clinical experience, that makes Inside Āyurveda both unique and a treasure. Check out this free preview of Inside Ayurveda! This is an amazing opportunity to advance your skills! the 612 page Course Notes shipped to your door, providing all of the course contents and assessment materials you need. Significantly expanded and revised from the acclaimed textbook Āyurveda: The Divine Science of Life (2006), the Course Notes for Inside Āyurveda are so detailed that it will serve as a powerful and useful reference for years to come. And remember, the Course Notes are only available through the Inside Āyurveda program. Access to on-demand video and audio webinars for all 20 classes of Inside Āyurveda, with each class running an average of 2.5 hours. And to help facilitate learning, you can download the audio files and listen to them on your mp3 player. Participation a weekly 90 minute Q&A webinar, where registered students get to ask any question related to Āyurveda, or any other personal health issue. We actually have some of recorded Q&A webinars on the DSBM website that you can listen to for free, so please check them out. Access to a great online community of fellow students, moderated by me, to ask questions, gather opinions, and refine your thinking. No matter what’s got you stuck, the community and I are here to get you rolling! To make assessment as painless as possible, all of the assessment materials can be completed and submitted online, meaning you have very little paper work to deal with. In total, Inside Āyurveda gives you TWO YEARS to complete the entire program. This means TWO YEARS access to our ongoing Q&A webinar series, the student forum, and our other educational materials. 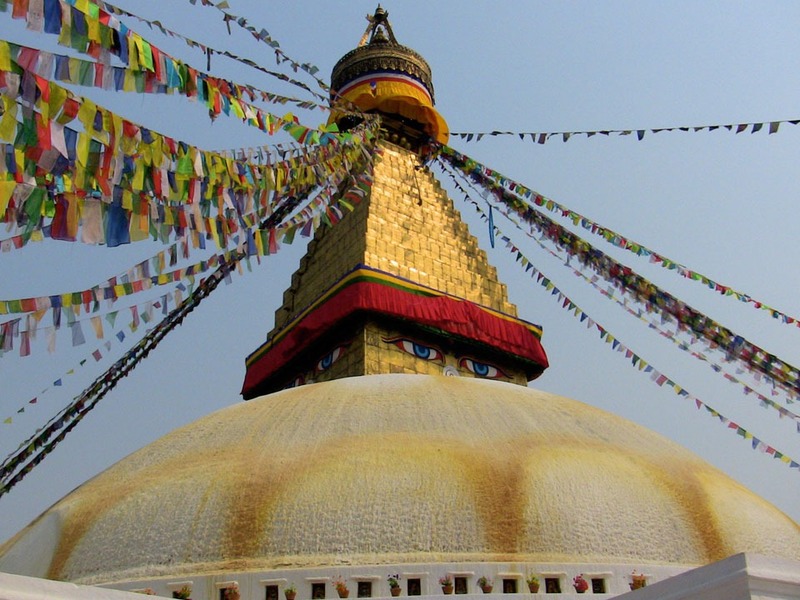 Students that complete all of the course work for Inside Āyurveda will receive a signed certificate of completion, which is a prerequisite to the Nepal-India Study Program, as well as the entire Mentorship program offered by the DSBM. 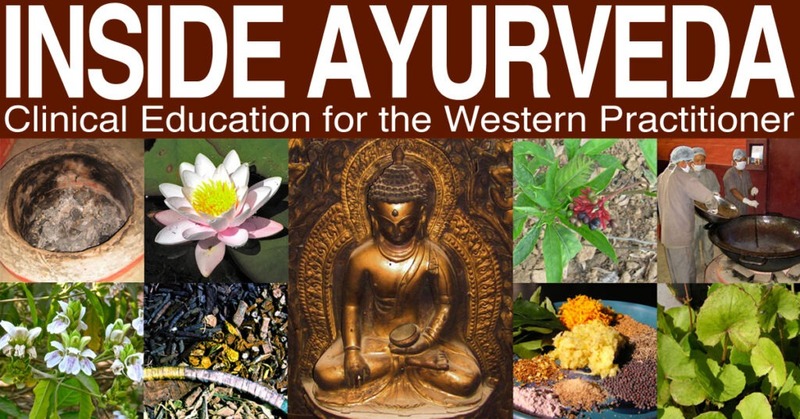 Course work for Inside Āyurveda also qualifies for continuing education credits with the American Herbalists Guild. Todd Caldecott’s class was enlightening and inspiring and one of my favourite components of my yoga teacher training. 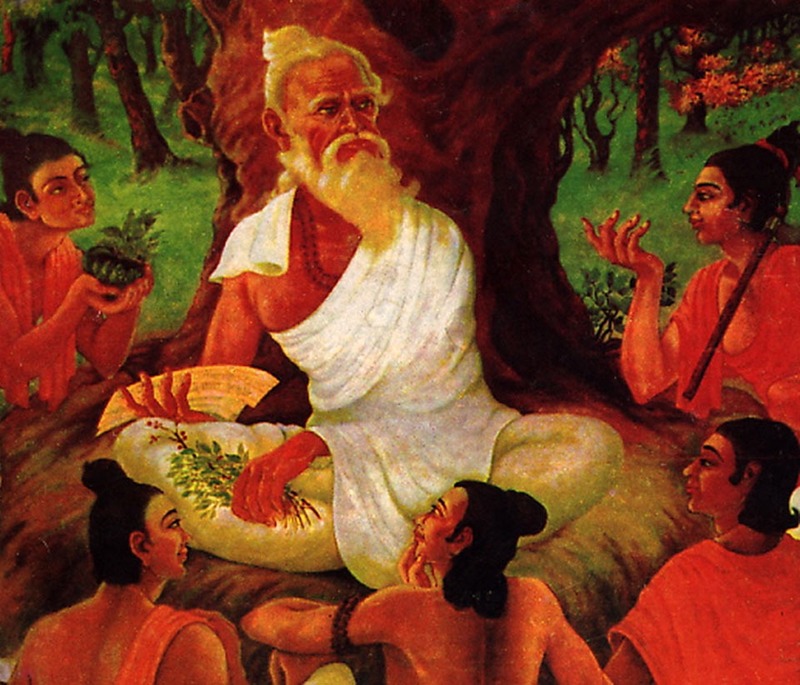 His book Food as Medicine is a sensible and accessible introduction to Āyurveda. I look forward further training with Todd. Todd was wonderful. He had so much knowledge to share, that he seemed to be a walking encyclopedia. He was able to answer almost every question anyone had, and there were a ton of questions. I’ve never seen so many students ask so many questions. He had the group’s attention the whole time, never acted superior, was patient with questions, and was passionate about the topic. Want more information? Please check out all of our courses!